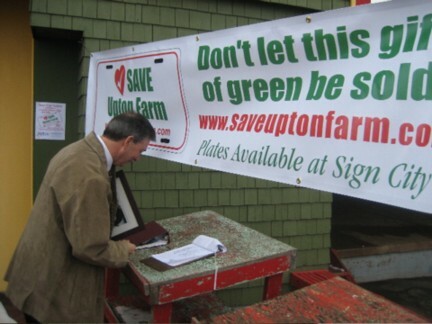 PEI Premier Pat Binns stopped by our booth on his way into the Charlottetown Farmers Market today and added his signature to our petition to save the Upton Farms. Thank you for your support, Mr. Premier! This entry was posted on April 14, 2007 at 5:45 pm and is filed under Petition, Support from Local Politicians. You can follow any responses to this entry through the RSS 2.0 feed. You can leave a response, or trackback from your own site.